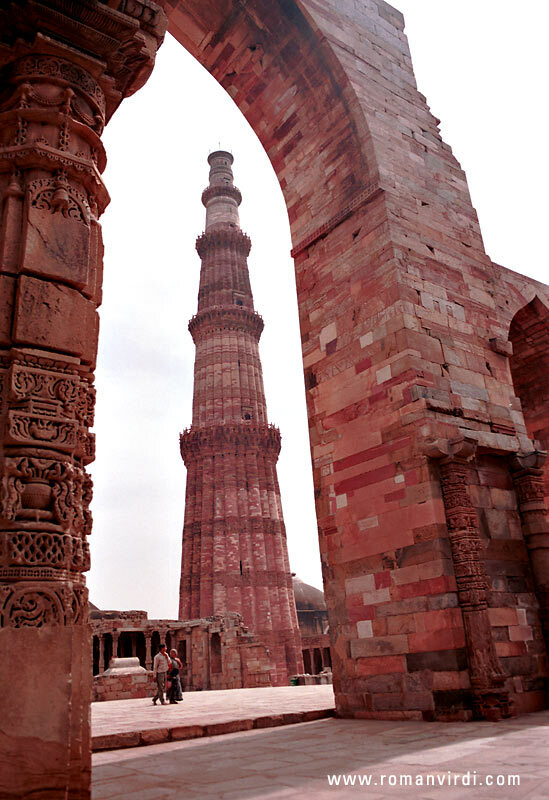 "The Qutab Minar, 72m high and built by Qutabuddin, on the outskirts of Delhi dates from the 12th century. Initially, it was possible to climb the spiral staircase right to the top but access was restricted to the 1st platform due to dramatic suicides. Now the tower is completely closed due to a tragic accident in the stairwell involving schoolchildren "